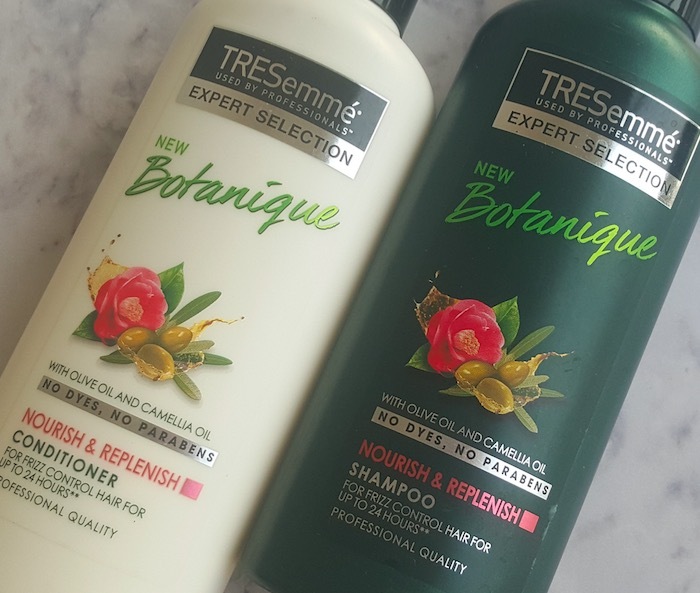 Hey everyone, today I’m reviewing the TRESemme Botanique Nourish & Replenish conditioner frizz control hair for up to 24 hours. 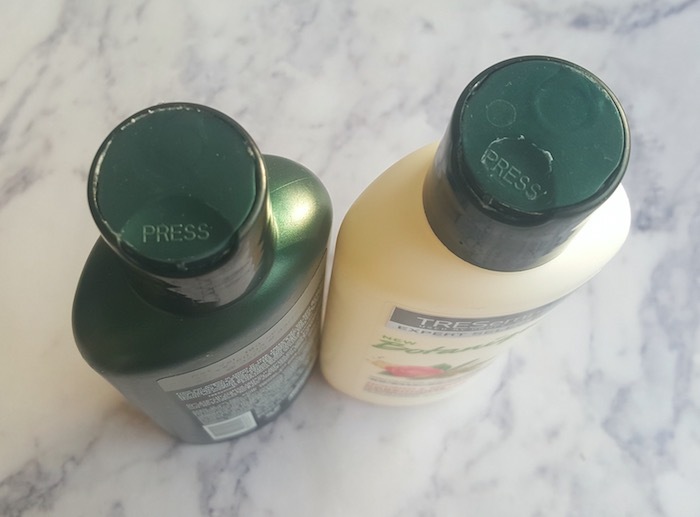 I’ve used this conditioner along with shampoo from the same range. If interested you can read the review of the shampoo here. Packaging: The conditioner comes in a white plastic bottle with black cap. A press-down button is provided at top of the cap for opening and closing the cap. 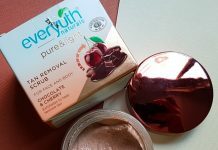 The packaging is sturdy, convenient to use and travel-friendly. 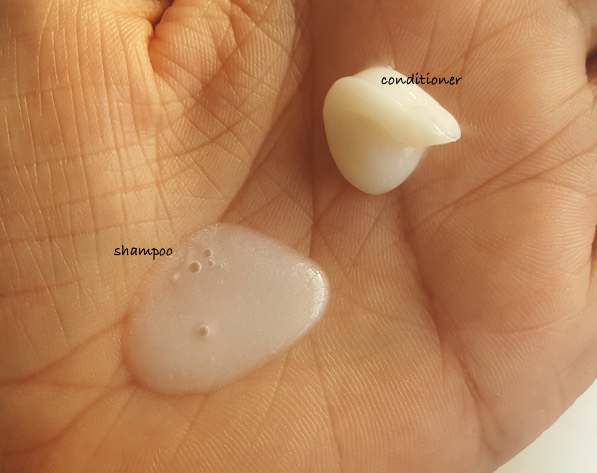 The conditioner is available in two size variants travel-size (85ml) and standard size (190ml). 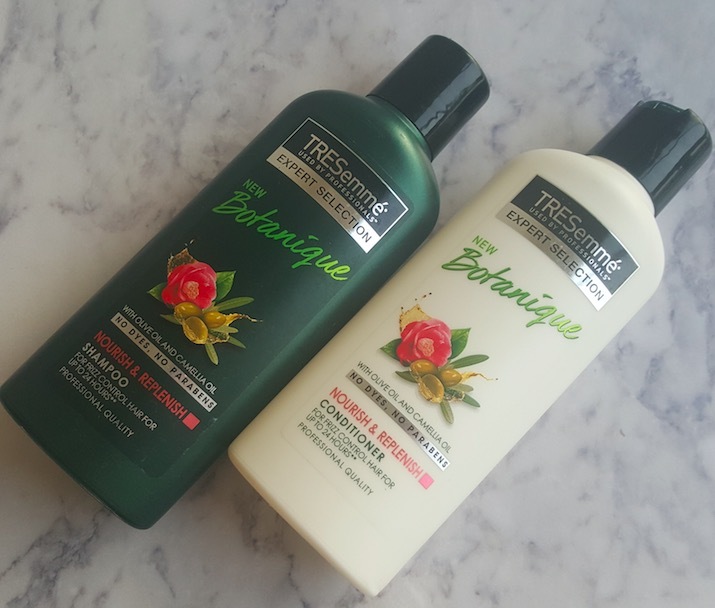 Price & Availability: The price of the TRESemme Botanique Nourish & Replenish conditioner is Rs.99 for 85ml and Rs.216 for 190ml. It is easily available at local beauty/departmental stores and also online @ leading e-commerce websites. 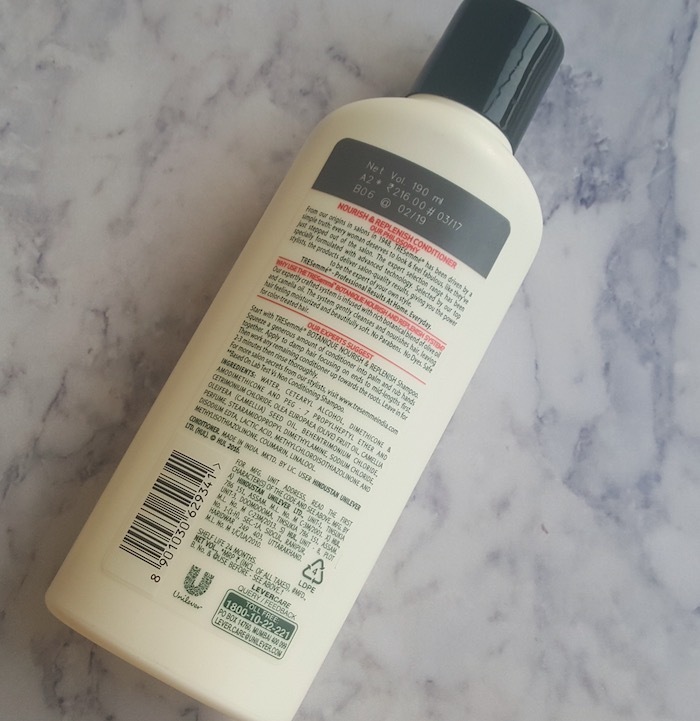 My Experience: After shampooing my hair, I squeeze out a generous amount of the conditioner and apply it evenly on my wet hair. Then I finger comb my hair to make sure that my hairs are tangle-free. I keep it on my hair for 5-8 minutes and then rinse it off with water. It comes out easily and doesn’t leave any residue behind. After towel-drying my hairs feel quite soft to touch. Although, when dried completely my hair become frizzy and unmanageable. 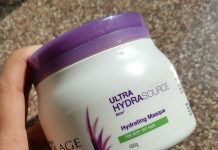 It does add a little moisture but is not moisturizing enough for my thick curly hair. I have to follow it with a good amount of leave-in cream/conditioner to make my hair a little manageable. Enriched with the goodness of olive oil and camellia oil. The conditioner has a perfect consistency that helps in easy application. It has a mild floral scent. Didn’t cause any scalp irritation or hair fall. It can be suitable for normal to slightly dry hair. Not enough moisturizing for my naturally curly, dry and frizzy hair. It didn’t live up to its 24 hours frizz control claim. It doesn’t control frizz nor it makes hair manageable. 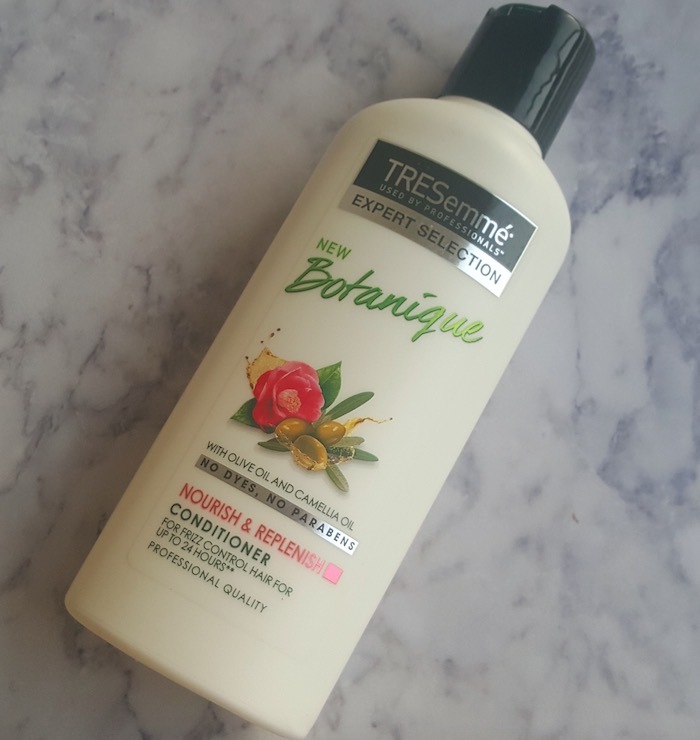 Overall, I didn't find TRESemme Botanique Nourish & Replenish conditioner satisfying at all. 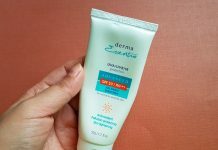 It is not moisturizing enough for my dry and frizzy curly hair. Although I was highly impressed with the shampoo from the same range, unfortunately, conditioner didn't work for my hair. I'll not recommend it for people who have dry, frizzy hair.